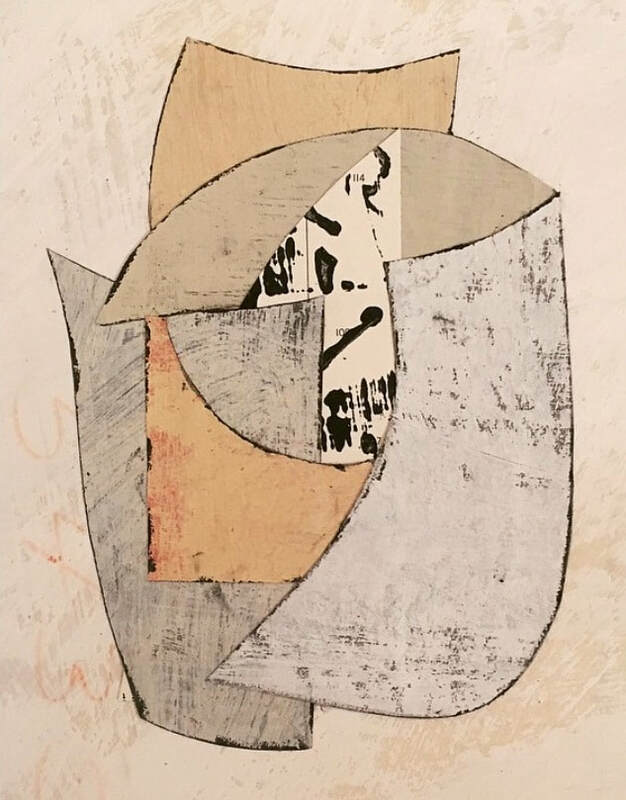 ​My works on paper and canvas explore the use of paper as an ongoing dialogue between painting and collage. I use painted paper as one would handle a brush to elicit brushstrokes on canvas. Never using the new, I enjoy the felt quality of the discarded: blueprints, old ledgers, chart papers, and used canvas drop cloths are materials that offer an aesthetic conversation with my work. The paint I apply to these various materials, whether in large cut pieces or intimate fragments, and affix to already created surfaces, offers countless opportunities to express color, line, and form. Though sourced materials are not intended to be recognizable in these abstractions, sometimes surface traces remain that become a moment of discovery for the discriminating viewer. Daniel Anselmi was a Monhegan Artists Residency Fellow in 2013. 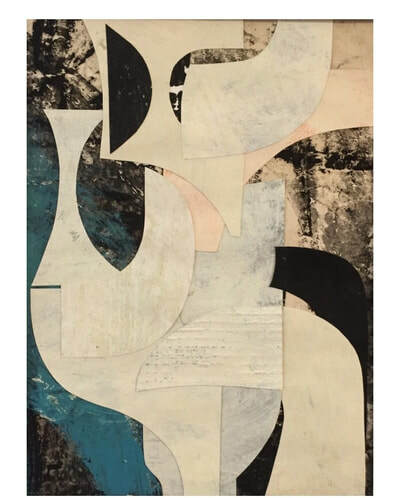 He has shown in juried exhibitions including the University of Maine Triennial, University of New England, Portland Public Library, Cambridge Art Association’s Northeast Prize Show, and CMCA. His work has also been in 5 solo exhibitions and included in 24 group exhibitions. Anselmi’s forms are elegant, but he insistently denies their ability to distill into recognizable figures. Instead, they dance among system aspects like composition, circuitry and rhythm, and they teasingly flicker between positive and negative space. ​"Facade" artist painted paper collage 21 x 14 sold ​Untitled (1-4) 2017 collage 8x6"
Untitled (12-7) 2016 collage 8 x 6" ​ Untitled (2-26) 2017 collage 8 x 6"
​Untitled (1-14) collage 8 x 6" ​Untitled (2-8) 2017 collage 8 x 6"